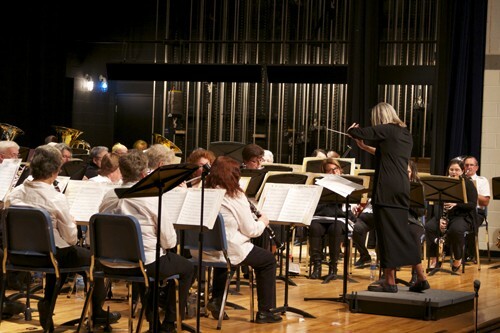 Rehoboth Concert Band is a community band that welcomes all area band instrumentalists at all levels of play and all ages. The concert band was formed in September, 2012 with 14 musicians at the first rehearsal and has grown to over 60. It consists of semi-professional musicians; band directors/music teachers; college and high school students; a few middle school students recommended by their directors; musicians who have continued to play for years and play with other musical groups; and people who stopped playing and are now renewing their skills. The band plays all concert band literature including classical music, marches, show tunes, and some novelty pieces. The band hopes to entertain their audiences with the diversity of concert band literature and enhance appreciation for it. Rehoboth Concert Band rehearses on Wednesday evenings. Recruitment for band musicians continues with a particular need for clarinetists and trombonists.